Lay out one sheet of puff pastry. Cut out nine 3-inch pastry stars and brush the tops with the egg/water mixture. Repeat with the remaining pastry sheet. Bake on a lightly greased baking sheet for 12-15 minutes. Stars should be puffy and golden. Let cool completely. Mix together the sour cream, dill and lemon juice. With a tiny spoon, put a small amount of the mixture on the middle of each star. 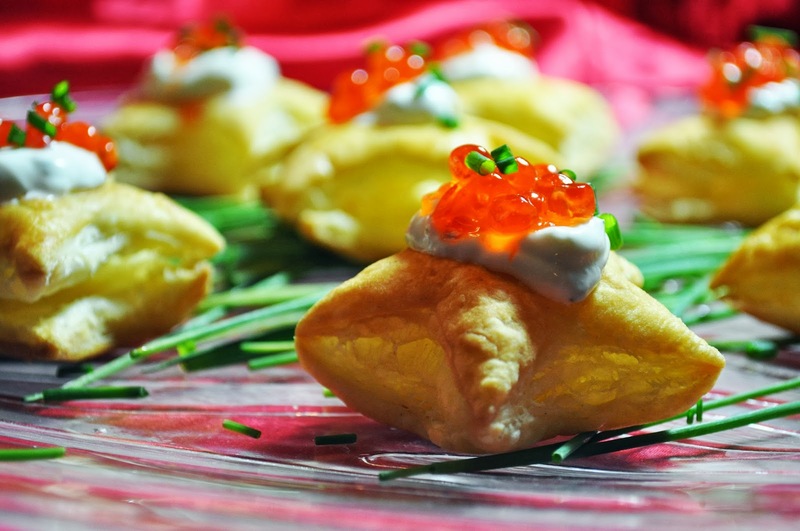 Top with caviar and minced chives. Serve.